What makes Giuseppe Verdi one of the world’s most popular opera composers is his ability to create magnificent melodies that blend gracefully with the human voice. What makes the Santa Cruz Symphony (SCS) so widely respected is how brilliantly it interprets that virtuosity on the modern stage. Last weekend, the Symphony, Cabrillo Symphonic Chorus, and Metropolitan Opera soloists transmitted the soulful quality of Verdi’s Messa de Requiem in concerts at the Civic Auditorium and Henry J. Mello Center for the Performing Arts. Requiem was created as a memorial in honor of two artists Verdi greatly admired – composer Gioachino Rossini and writer Alessandro Manzoni. The emotional intensity and majestic serenity of Verdi’s composition was powerfully expressed in the Symphony’s collaborative performance. Guided by Maestro Daniel Stewart’s commanding stage presence, the operatic, choral, and orchestral voices were consistently balanced and in harmony with each other. Stewart’s understanding of Requiem’s theatricality was apparent in his precise direction of each rhythmic contrast. Requeim’s challenging elements highlighted the strength and focus of each musician, in tandem with the singers of Director Cheryl Anderson’s acclaimed Cabrillo Symphonic Chorus. Collectively, the orchestra and chorus conjured up Requiem’s atmosphere of gravitas, which was further evoked by the dramatic sensibility of each soloist. SCS successfully presented its first ever opera in concert with the orchestra and guest soloists performing Rossini’s Il Barbiere di Siviglia earlier this season. The recent concert of Verdi’s Requiem was yet another indication of the Symphony’s ability to bring classic opera to life through partnership with remarkable contemporary singers. The featured soloists Soprano Michelle Bradley, Mezzo-Soprano Jennifer Johnson Cano, Tenor Stuart A. Neill, and Bass Peixin Chen performed with superior technical skill and passionate conviction. Their repertoires include many roles on the world’s most famous opera stages and all four artists are recipients of prestigious accolades. The Symphony orchestra, Cabrillo Chorus, and guest soloists supported each other in service to Verdi’s music, making the profound quality of Requiem palpable. Despite the text being in Latin and the music having a solemn weight to it, Stewart, the singers, and musicians conveyed the spiritual meaning and depth of mood. SCS performances go beyond entertainment to create an experience of music that is compelling and accessible to a modern audience. Before the final curtain falls on the Santa Cruz Symphony’s 59th season, there are two more special events to look forward to. Don’t miss SCS in concert with two internationally-renowned artists: singer Storm Large and her band on June 3rd, and pianist Yuja Wang on June 24th and 25th, 2017. 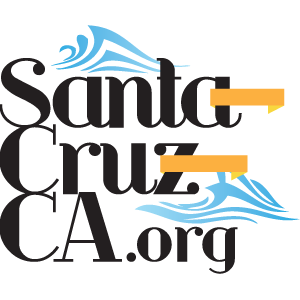 Visit santacruzsymphony.org to purchase tickets.